Cat’s claw is a woody vine more known by its informal name Una de Gato. It is a much-beloved plant in Peruvian medicine and is used as a treatment for various diseases and conditions — particularly those that exhibit acute symptoms. It has only been recently gaining popularity in the West, mostly through word of mouth. It is not really known how the vine got its name but it is hypothesized that it has something to do with its appearance which curls and bends much like a cat’s claw. The plant can reach up to a height of 30 meters and clings to other plants, trees, and structures through its thorny branches. Botanists consider the plant to be an invasive species. Cat’s claw is difficult to manage and can smother other plants if grown in a garden. 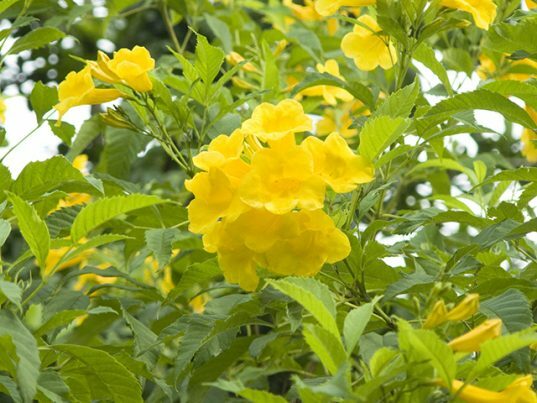 Only the inner bark and root of cat’s claw are used as medicine. Cat’s claw is used to augment general health. Although there are very few studies that validate this, there is evidence which suggest that the vine’s anti-viral, anti-inflammatory, and analgesic properties are far superior to more known herbs such as Siberian ginseng, astralagus, and even Golden Seal. As such, traditional healers recommend their patients to ingest small amounts of cat’s claw to strengthen their immune system. Health experts believe that taking cat’s claw can improve immune function by 50 percent. This has led some healers to recommend the vine as a conjunctive treatment for cancer and auto immune deficiency syndrome (AIDS), as well as any other diseases that impact the immune system. Una de Gato can be used to alleviate certain types of pain, especially those caused by muscle inflammation. Small amounts may even treat gastrointestinal conditions such as stomach pain, colitis, diverticulitis, intestinal ulcers, and dysentery. 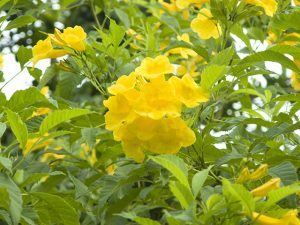 Associated conditions of genital and urinary tract inflammation may also be treated with cat’s claw. Cat’s claw is used to support all body systems. Those more familiar with the vine, however, typically use it to treat inflammatory arthritis and other intestinal complaints such as stomach ulcers. That said, cat’s claw may be used as an ideal supplement for digestive health. Cat’s claw is normally taken in tablet form. This is usually sourced through your local food and health store. You can try to make your own tincture but take care when doing so. Steeping the vine in boiling water for too long can release too much tannin, which can upset your stomach. Even when done properly, cat’s claw tincture should not be absorbed by the tongue, as this causes the vine to lose its medicinal effects. You can easily avoid this though by taking cat’s claw tincture with at least six ounces (that’s three-quarters of a cup) of water. You can also add one tablespoon of lemon juice or one teaspoon of vinegar to increase acidity. Consuming cat’s claw as a tea is possible, but not preferable. The vine has an unappealing taste which may or may not be aided with lemon. In either case, remember to not over-boil the vine. Cat’s claw is a great immune system booster. It is particularly useful in treating any condition that negatively impacts immune function. You should also consider using the plant for illnesses related to inflammation.